The fairies are worried seeing a weakened state of Baal Pari. Meanwhile, Since Montu has taken a vow to break Manav's teeth, he and his adherents, Ronit and Keval are busy planning a strategy to accomplish this task. Bhayankar Pari, on the other hand, has managed to steal Baal Pari's Jeevan Shakti Tara from the Tilasmee Parvath. But, she is stopped by Mahamaie, who warns Bhayankar Pari to stop seeking vengeance. Bhayanakar Pari is not the one to be stopped and turns Mahamie into stone. Bestowed with superpowers by the fairies, Baal Veer fights crime and tips the balance towards good in the battle against evil. 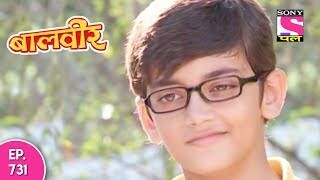 When he is not fighting crime, Baal Veer is at school with Manav and Meher. Blessed with the power of the nine fairies, Baal Veer has the ability to transform into a superhero and defeat evil with nine unique powers. The nine fairies reside in another dimension, in a magical place called the Parilok. If there are good fairies, there also ought to be the bad ones. 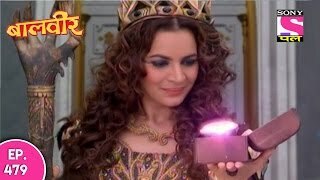 Baal Veer helps safeguard Parilok from the forces of evil, while also protecting humans on Earth. 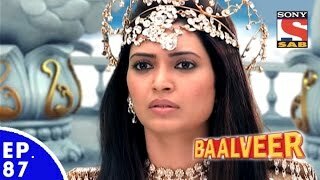 Baal Veer hides his real identity as Ballu and lives with Manav and Meher. His two siblings are not as bold as him, but Baal Veer stands by their side and protects them from three bullies - Montu, Rohit and Keval. Manav and Meher, also blessed with superpowers from the fairies, join Baal Veer as Baal Mitra and Baal Sakhi to defeat the forces of evil. Sony PAL is a Hindi General Entertainment Channel that is owned by Sony Pictures Networks India Pvt. Ltd. Sony PAL is proud to be India’s premier women-centric entertainment channel, which offers a diverse bouquet of your favourite shows, allowing you to relive your cherished moments with your most-liked characters. With Sony PAL, live and grab every moment because 'Yeh Pal Hamara Hai'.